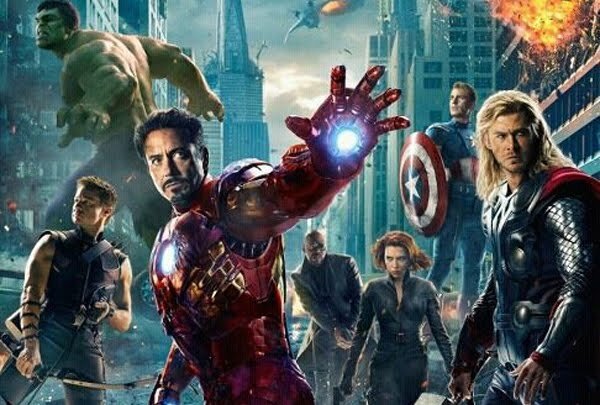 Who Makes Avengers So Good? I am writing this on an international flight, just after finishing the Avengers on the little screen in front of me. This movie is so good, I could dedicate at least a half dozen articles to talking about why, but for now, I’m only going to focus on the element that hit me hardest this time. There are a few roles which were both written and performed well enough to carry the whole movie. Actually, almost every role is that way, but there are a few who really reach out and grab you. I could dedicate an entire article to Phil Coulson, Nick Fury, Black Widow, and Hawkeye each, and there’s already an article here talking about why Mark Ruffalo’s Bruce Banner made us care about the Hulk in a new way. But I’m not going to focus on them today. The three who were already famous – Robert Downey Jr.’s Tony Stark/Iron Man, Chris Hemsworth as Thor, and Chris Evans as Captain America – each explored new dimensions to their characters while delivering the greatest action-adventure romp of the year with the same winning mannerisms and characters that we have cheered for in the past. But I’m not going to talk about them, either. That’s right, one of the top factors contributing to the Avengers’ success is Loki, performed by the inestimable Tom Hiddleston. Loki is the perfect villain for this group. His rhetoric about freedom being a dream humanity chases in a self-defeating frenzy is not what makes him so, nor do I believe it was meant to be. One of the movie’s central themes is the larger-than-life egos of the would-be heroes, and how they have to get above themselves to work together as a team and save the world. That’s one of those tried-and-true tropes of team-forming movies, from Remember the Titans to that gospel choir movie that just came out to this. 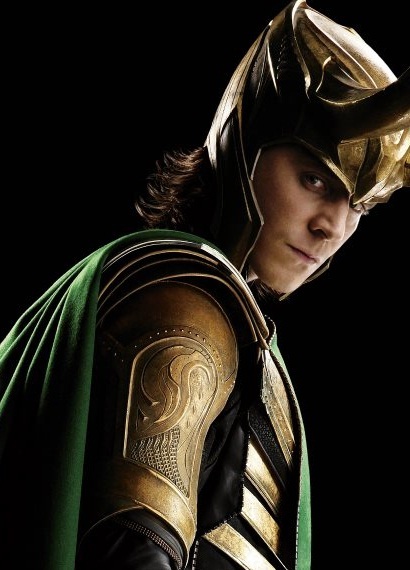 And Loki is the embodiment of that idea, that reckless pride and disunity. Just listen to his first conversation with Thor; he considers himself a higher life-form than us mere mortals – as by rights any of the Avengers could – and wants to rule over a world to satisfy his bruised ego. He always loses in direct confrontation: Cap and Iron Man subdue him; Thor consistently has him on the ground (Loki gets one cheap shot on him, but certainly doesn’t win any of their encounters); Hulk, of course, beats him like a rag doll; even Hawkeye’s arrow gets the better of him. When Agent Coulson shoots you through a wall and in the minds of the audience definitively wins that confrontation after you already killed him, you lose any credibility as a direct threat. No, Loki is not a formidable foe to fight, but what he lacks in firepower he more than makes up for in treachery. He is a master manipulator, and he manages to get inside every one of the Avengers’ heads. He plants – or exposes – doubt and mistrust, and lets their egos and lack of team strength do the rest. With just the right push, they are separated, scattered, and defeated, simply by sticking to their guns. That’s the mark of a good villain; turning the heroes’ strengths into your most potent weapons. The Joker nearly drove Batman over the edge in TDK by ramming him up against his own rules. The Green Goblin torments Spider-Man by using his own sense of self-sacrifice against him. And Loki uses the Avengers’ own self-confidence to tear them apart, letting him nearly complete his take-over-the-world scheme. Why is this so important for a good villain? It’s not because it’s the most effective way to take over the world; it’s just one of a myriad number of effective tools. Being able to out-fight Thor, out-wrestle the Hulk, and/or out-strategize SHIELD* would have made Loki a lot more successful, but not much of a better villain. When I say this ability to turn a hero’s strengths upside-down is important for a good villain, I mean that from a storytelling perspective: Good villains are ones which make the heroes face something about themselves and give them an opportunity to change. Sometimes the heroic thing to do is change, as in the Avengers’ case, but other times we want them to hold true, as in The Dark Knight. But it’s those moments when the hero is vulnerable and exposed somehow that the audience can really plug into them and it’s then that we cheer for them. And the best way to create that scenario is to have the villain find a weakness in the hero’s heroic character to exploit. One thing that the Dark Knight Rises did right with Bane was the whole exposing Jim Gordon (and by extension Batman) as a liar bit. By turning the Pyrrhic victory from TDK on its head, he was hitting the good guys where it hurt. Unfortunately this wasn’t really a huge point and didn’t have much lasting effect for anyone; everyone still trusted Gordon and Batman, anyway, and no one brought it up again after the scene where it occurred. But to wrap up, strong super hero stories are ones where the themes are reflected in the conflict between the hero and villain. The villain being overwhelmingly powerful and scary like Bane isn’t enough, unless that reinforces the main idea. Like Loki, a good villain often turns a hero’s strength into a weakness, which makes them face a turning point and do the right thing to overcome the situation. That is when the hero is most human, when we see ourselves in them. That’s when we cheer for them the most, because we feel for them. So here’s to the good villains; you make the heroes heroic. You make everyone hate you and you get beat up and imprisoned and sometimes die, just so we can enjoy the good guys. No one ever even knows that without you the hero would be just an arrogant, lazy jerk with no need or desire to do good. Thanks for changing that. You’re the best of the bad. Addendum: We now know that Joss Whedon will return to direct Avengers 2! That is great news. Now what kind of villain will they face then? If they follow my advice here, that’ll depend on what they want to explore with the heroes; how will the team grow and change in the next round of movies, and what brings them together to save the world again. While his name may be Thanos, we don’t know just how he’ll approach the Avengers; we don’t know how he’ll challenge and test them. What are your predictions? Leave a reply with what you want to see from Thanos and why. I’ll cover my thoughts in the near future. *One might argue that Loki was able to nearly bring down the helicarrier and destroy all of SHIELD’s leadership and Phase 2, but I would reply that the attack on the helicarrier was, as far as I can tell, planned by Hawkeye: He shows his ability to think strategically frequently throughout the movie (he identifies and acts on Fury’s stalling tactic in the opening scene, he identifies what needs to be done to open the portal after a brief conversation with Dr. Selvig, and plans that attack as well, and then there’s his tactical guidance in the final fight) and Loki was relatively inept without his expertise to help out – the Tesseract was left defended only by its own shield and the Chitauri appeared to have no coordination or purpose in their attack whatsoever. So, no, Loki can’t out-strategize SHIELD; he still loses to an army of 6 and a borrowed nuke when he has thousands, if not millions of troops at his command. Hawkeye, on the other hand, is awesome. This entry was posted in Movies, Super Heroes and tagged Avengers, Captain America, Drama, Hawkeye, Heroes, Hulk, Iron Man, Loki, Super Heroes, Thor, Villains by Stubbazubba. Bookmark the permalink. (Related TDKR rant): Also unfortunately, Bane’s direct conflict with Batman wasn’t about manipulating Bruce Wayne’s drive to save Gotham or anything, it was just opposition to what Batman already was. Again, Rises needed to pick a story and stick with it; they could have had Bane break Batman in an attempt to get him out of the way (which they did), and then have Batman persevere and come back anyway (which they did), and return as the vigilant protector of his beloved city (which they did not). Or they could have had Bane be actively manipulating Bruce Wayne’s pathological need to fight crime, using that until Bruce realizes that Gotham has, in fact, been saved, and Batman is no longer needed. He could defeat Bane by changing into a more complete Bruce Wayne, who had overcome the horrors of his childhood and was whole once again. Of course there would still be a costumed showdown between Bane and Batman, but the man behind the mask would be fighting for something else; to get his life back, not to save Gotham from itself again. Then the ending montage would have made perfect sense and the movie would have had a strong through-line. Instead they told both these stories, which makes it very hard to draw any conclusions from; did Bruce Wayne feel that Gotham was safe without Batman? Everything that he says in the prison seems to indicate that no, he feels like Gotham still needs Batman, in fact now more than ever. Thus no matter how long Gotham goes without incident, Batman will always be needed again sometime. And from what we see of Gotham, that is right; except for Gordon’s squad of cops and a very savvy Ms. Kyle, everyone else seemed to go along with Bane’s revolution against legitimate authority. But the ending montage indicates that yes, he found some resolution somewhere. Maybe Selina was just that good of a kisser that at that moment he knew that there was something more to life than being Batman and he wanted to be a part of it? We don’t know.